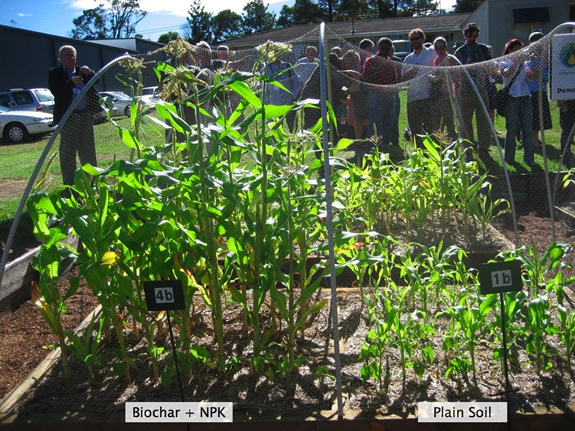 Biochar promises to be a very useful substance which will both capture carbon, and help produce high levels of soil fertility. Not just that, it is the product of ancient amazonian wisdom. 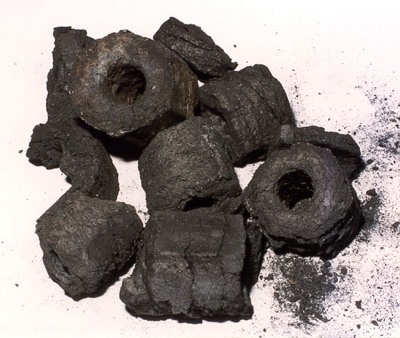 Biochar is charcoal that has been "charged" with nutrients. Charcoal is produced by heating waste organic matter, usually wood, without oxygen, so it "chars" rather than actually burns. 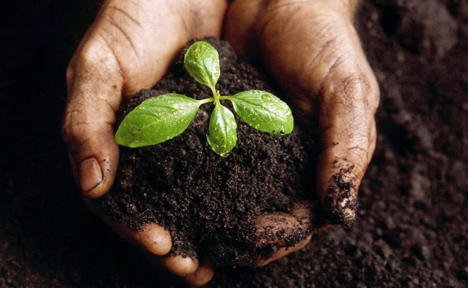 It has enhanced nutrient capacity and is capable of rebuilding the richness of soil. Additionally it is an extremely stable form of carbon, so charcoal is now being seen as a way of stably holding carbon that would have been released to the atmosphere as a greenhouse gas. For example, waste wood, e.g. a fallen tree or discarded industrial pallets, if left to rot, release the carbon they store into the air as carbon dioxide thus heating up our planet. If this material instead is turned into charcoal, then the carbon is not released and will be sealed into the soil for hundreds, possibly even thousands of years. The story of biochar is a fascinating one. When the conquistadores conquered South America, they sent an expedition up the Amazon led by Francisco de Orellana , who returned with tales of a densely populated, sophisticated civilisation, with large cities and extensive roads, growing crops in "Black Earth" or Terra Preta. Back in Spain, these stories were treated as unreliable "traveller's tales", so no one ventured back for eighty years or more. There was no sign of this civilisation, giving rise to rumours of mysterious, lost "El Dorado". For a long time most agricultural scientists thought that rainforest soils were very poor, and could not support much agriculture. The slash and burn encroachment of the forest is continuous because the yellow, powdery soils are depleted after only a few annual crops, so the farmers have to clear more rainforest. However a few individuals had noticed that there were patches of black earth, which was still productive after centuries of use. Analysis found it was a rich mixture of ordinary earth, charcoal, bits and pieces of junk, including pottery shards, bones, and waste of vegetable, animal and human origins. At first it was suggested that these were just middens, but it became apparent that humans had carefully cultivated this Dark Earth and the ingredients were producing a dense nutrient-rich agricultural soil remarkably free from diseases and pests. The broken pottery, it is thought, was there to allow airflow through the mixture. Modern techniques of aerial and satellite photography started to reveal that the original Spanish explorers were not as crazy as once thought - there was evidence of a densely populated Amazonian territory, full of a sophisticated dwellings, whose people were long since wiped out by diseases the Conquistadores brought with them. This means that there is nobody we can ask exactly how to create the perfect Terra Preta soil, and what type and proportion of charcoal, now called Biochar, would give the best result. So whole institutes of scientists and agriculturalists are investigating the phenomenon, which promises to be of great help in future in re-enriching soil that has been degreded by the use of artificial fertilisers from fossil fuels, not to mention the carbon capture possibility, which is much easier than the technology (if it works, which is questionable) to capture carbon from coal fired power stations ("clean" coal or CCS). Many people are experimenting with their own biochar. It is possible to make charcoal relatively easily - after all it has been done since the stone age! However it is a smoky process, which most peoples' neighbours would object to! Buying barbecue charcoal is a better option, as long as it is ordinary charcoal, not the type that has inflammable additives to make it burn faster. It is probably best to crush it to powder, although some people think that the lumps themselves are perfectly effective. We just don't know. Then it has to be "charged" with nutrients. Immerse the charcoal in some sort of nutrient solution for a couple of weeks. It could be artificial NPK fertiliser, but it would seem more green to use comfrey tea, organic fertiliser like seaweed, or even urine (which is what we think the Amazonians used). Then mix it into the soil in a ratio of 10-20%. This will mature over the years as your Terra Preta growing habitat, as more microorganisms colonise the tiny spaces in the biochar, becoming a whole mini-ecosystem in your soil.